Add new gmail account to access your Huawei G8 device easily, and Bypass FRP Protection Huawei G8, its latest and easy method, you don’t need any Computer or Laptop to bypass google verification from your huawei G8 device. All you need to do, is to open chrome browser by follow below steps, and download 2 applications in your android device, and install them then add latest gmail account and restart your device, that’s it. Worth To Note: This method is successfully applied on HUAWEI G8 (RIO-L01), Android Version 6.0.1, Security Patch Level October 2016. ♦ Select your desire language, tap next, then select your region, tap next, tap on “Wi-Fi”, and connect to your wi-fi connection. Once Wi-Fi connected successfully. ♦ Tap on “Add Network”, type there in Network-SSID “techeligible”. ♦ After that, Tap on “techeligible” words so that (CUT, COPY, Share, ASSIST) options display there. 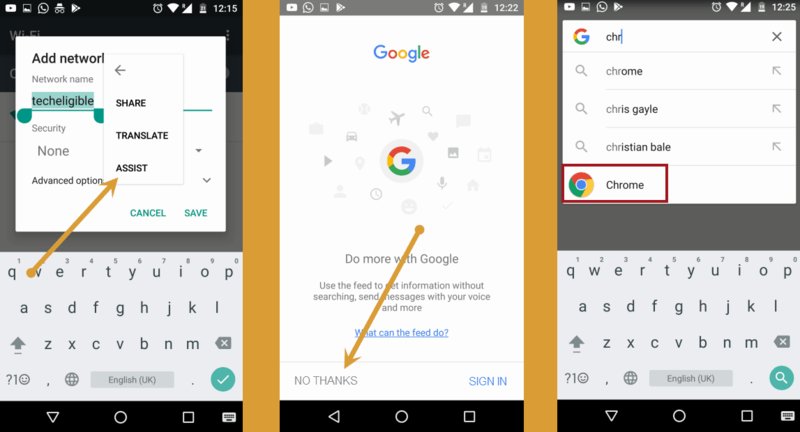 ♦ Now Tap on “ASSIST”, then tap on “No Thanks”, after that “Google will open”. ♦ After checking your android version, keep tapping on “back key” until you reach back to “Google”, where we typed “Settings”. ♦ Type in search bar “Chrome”, and tap on “Chrome Icon” to open it. ♦ Now type there “Google.com” to open google website. 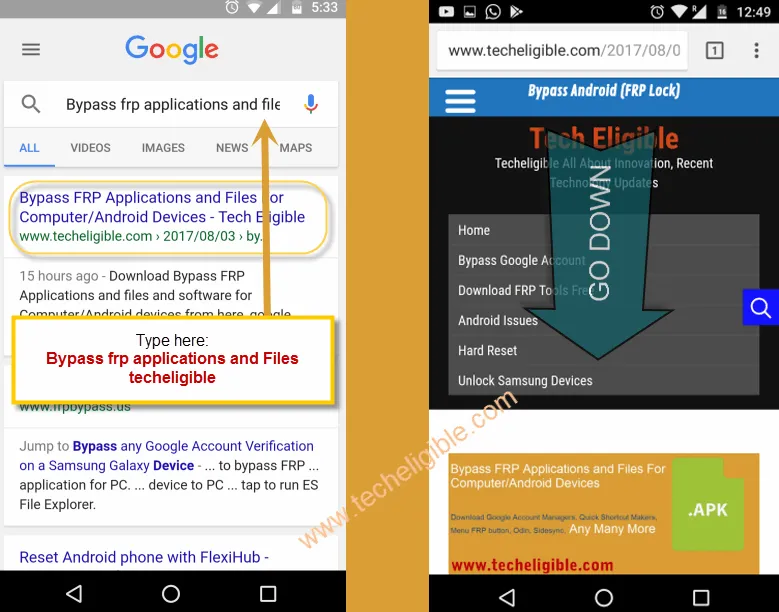 ♦ Search there “Bypass FRP Applications and files techeligible”, and tap on most related search result. 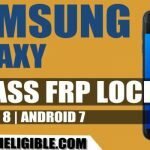 ♦ Scroll down from bypass frp techeligible website, and download from there “Google Account Manager 6.x.x”, if your android version 6..X.X. 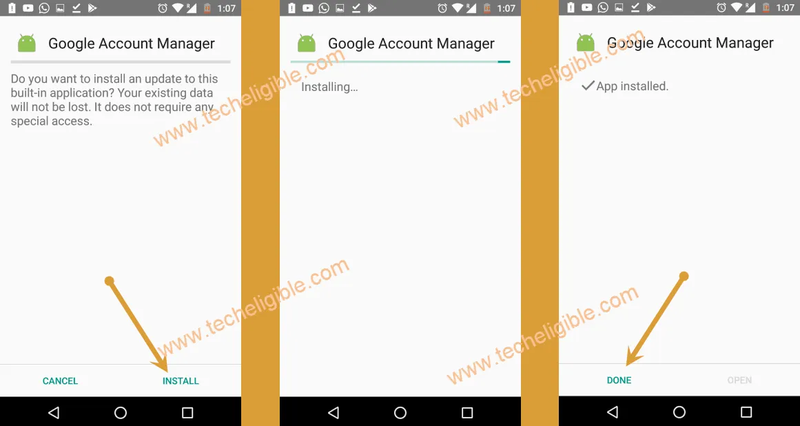 ♦ If your Android Version is 5.X.X then download “Google Account Manager 5.x.x”. 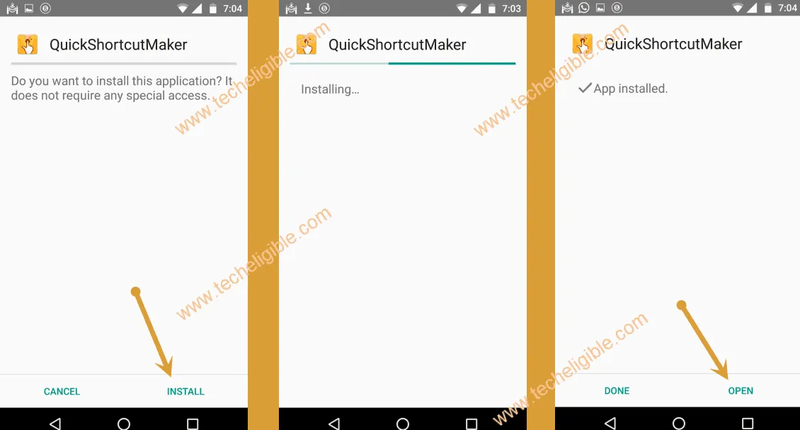 ♦ Download “Quick Shortcut Maker” from same website page, once downloading finishing, you will surely have popup bottom of your screen to “OPEN Downloaded files”, tap on “OPEN” to go to download folder. ♦ Tap on “Google Account Manager”, then tap on “Install”, and tap on “DONE”. ♦ Now tap on “Quick Shortcut Maker” application, then tap on “Install”, then tap on “OPEN”. 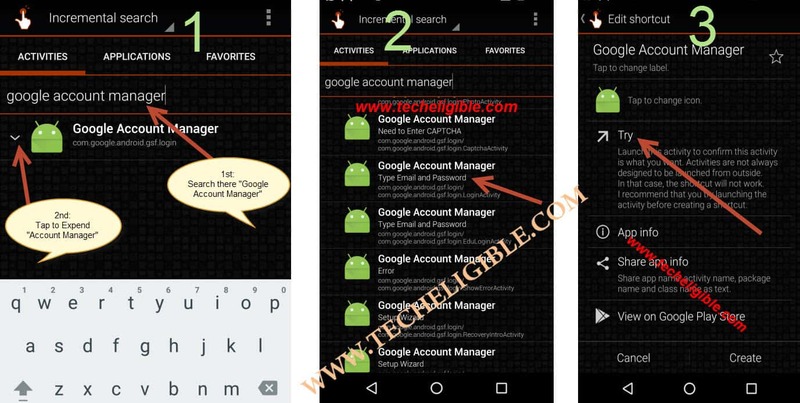 ♦ Type in search bar “Google Account Manager”, then tap on “Google Acc Manager” to expand it, there you will see a list of many google accounts managers. ♦ Tap on “Google Account Manager” that appears with “Type email and password”, check in list, you will be able to find out that one. or see below image to clear your confusion. ♦ Tap on “3 Dots” from top right corner, then tap on “Browser Sign-in”. 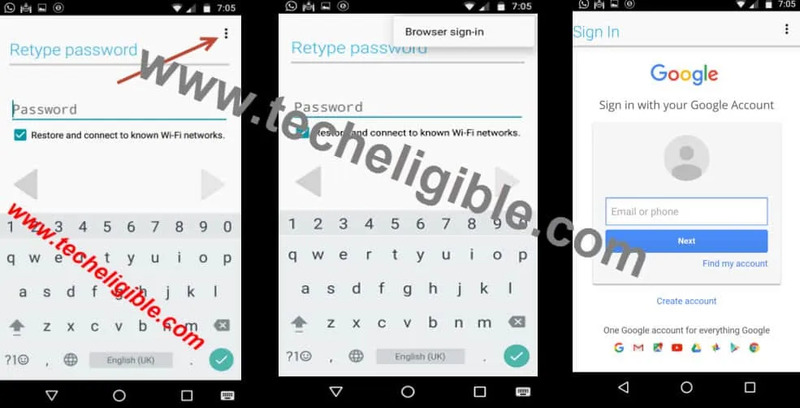 ♦ Now add your latest “Gmail Account” there to Bypass FRP Protection Huawei G8. ♦ Restart your device by pressing power button, then tap on “Restart”. ♦ From “Select Language” screen, tap on > Next > Next > Connect Wi-Fi > Next > Agree > Allow > Allow > Allow > Skip > OK > Skip > Aceptar > Begin > Yes > Begin > Enable. 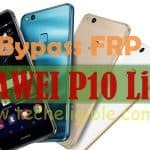 Congratulations, you have successfully entered in your HUAWEI G8 device, now we have to enable developer options, so that we could SOFT RESET huawei G8 to completely Bypass FRP Protection Huawei G8. ♦ Go to “Settings” > About Phone > Tap 5-6 times on “Build Number”. ♦ Once developer option enabled, tap on “Back KEY” to back to settings. ♦ Tap on “Developer Options”, then on “enable OEM unlock” to enable this option. ♦ Tap on “Back Key” to go back to “Settings”. ♦ Now tap on “Advance Settings”, then tap on “Backup & Reset”. ♦ Then tap on “Factory Data Reset” > “Reset Phone” > “Reset Phone“. It will restart your HUAWEI G8, then will take several minutes to erase everything from your device, and after that you have to complete initial setup again. ⇒ Connect Wi-Fi, tap on “Add Network”, type there some text, then long press on those text to get (CUT, COPY, ASSIST) options. ⇒ Tap on “Assist”, then search in google “Chrome”, tap on chrome icon. 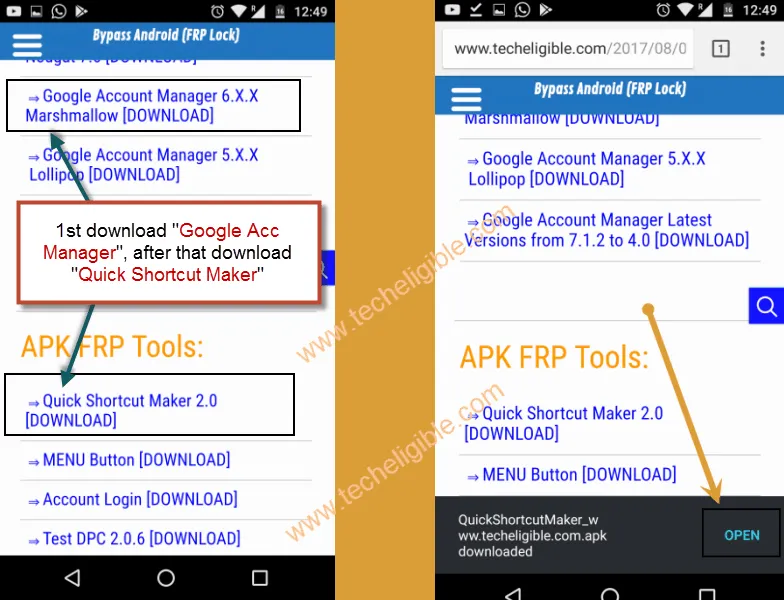 ⇒ Type there “Bypass FRP Applications and Files Techeligible”, open website, download “Google Acc Manager” and “Quick Shortcut Maker”, install them. ⇒ Search quick shortcut maker, “Google Account Manager”, select 1 google acc manager that appears with “Type email and password”, tap on “Try”. ⇒ Tap on “3 dots” from top right corner, then select “Browser Sign-in”, now add your latest gmail account. ⇒ Restart your device, complete initial setup, enable developer options, soft reset your device. Thanks so much, it was helpful to me.